Funeral service for Clara Juanita Hargis, age 74,of Austin, will be held at 10:00 A.M. on Thursday, November 29, 2018 at Murray-Orwosky Funeral Chapel. Interment will follow at Mahoney Cemetery. Visitation will be held from 6 to 8 P.M. on Wednesday, November 28, 2018. 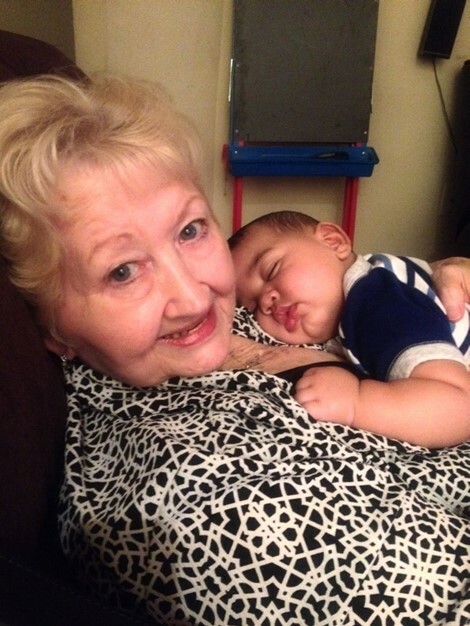 Clara Juanita Hargis, passed away peacefully on Saturday, November 24, 2018 at her home in Austin. Clara was known to all simply as Juanita. She was born January 29, 1944, in Sulphur Springs to Wayford Maurice “Pete” McIllwain and Alma Imogene (Moore) McIllwain. She was raised in the community of Mahoney just outside of Sulphur Springs until she moved to Dallas to attend Neilson Beauty College where she graduated as a Beautician. While in Dallas she met her husband, James Leon “Jim” Hargis and they were married in Oklahoma on December 29, 1968. After being stationed at Fort Hood in Killeen, TX, they welcomed their first child, James Leon“Jimmy” Hargis on March 10, 1972. Not long after they moved to Austin where they would remain and welcomed their second child, Janita Renee (Hargis) Hurndon on May 26, 1975. Juanita ended up working as a bookkeeper for most of her life. She said she liked working with numbers so this was a better fit than being a beautician. Juanita was a loving and caring person, devoted wife, mother and friend, always thinking of others first. She loved to read her Bible, spending time with family, laughing and always wearing a smile on her face. She will be dearly missed but we shall all be reunited one day in Glory. Juanita is preceded in death by her husband, mother, father & youngest brother, Terry Lynn McIllwain. She is survived by her two children; step-son Harlan Van Hargis; her grandchildren, Christian James Sanchez, Lauren Amber Sanchez, Hailee Christine Hargis, Marquise De’Quan Hurndon, Phoenix Blaze Hurndon; her sister Wilma Sue Miller Milligan and her brothers Wayford Clyde “Butch” McIllwain, Billy Ed“Dusty” McIllwain and Charles Eugene McIllwain and her many sweet nieces & nephews.